When it comes to backing up your address book data, you have a few options. It goes without saying, but digital address books are great. You have instant access to all of your contacts, and your brother’s phone number is just a few keystrokes away. But just as you can misplace your real-world address book, you can just as easily lose your digital one if you aren’t careful. Read on, and we’ll show you a few ways to safeguard your precious contacts list. The easiest, most pain-free way to store your contacts is to use a cloud-based contacts management service. Most of the big-name email services—Google’s Gmail, Microsoft Outlook, Apple iCloud, and Yahoo Mail—offer some sort of contact manager. And since they’re fully integrated with your email, you don’t have to hop from service to service to find the person you’re looking for. 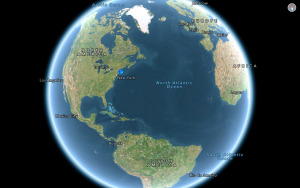 iCloud offers the requisite email, contact management, and calendar services, plus a lot more. For all these services, you can view and edit your contacts’ info through a website that you can access on just about any computer, tablet, or smartphone. Many of these third-party (non-Apple) services also offer their own iOS apps, but these apps often lack full-fledged contact management capabilities. You can usually access contact information stored via services like Gmail or Yahoo Mail through iOS’s bundled apps, but caveats abound, as we’ll see in a moment. Finally, there’s an inherent risk to storing your contacts’ information in the cloud—namely, someone with nefarious intents to break into your account or breach a provider’s servers—but for most people, the benefits of these services outweigh the risks. Strong passwords combined with other good security habits—like using two-factor authentication—can mitigate these security risks to a degree. Without further ado, let’s look at some of your options. If you’re fully entrenched in the Apple universe, using iCloud to manage your contacts might be the easiest, most straightforward way to go. 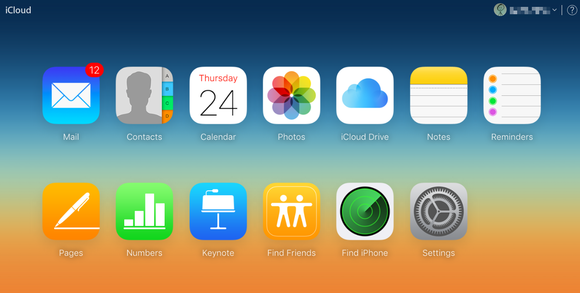 iCloud will keep all your contacts in sync across your Apple devices, so it’s pretty pain-free. Plus, you likely already have it turned on. 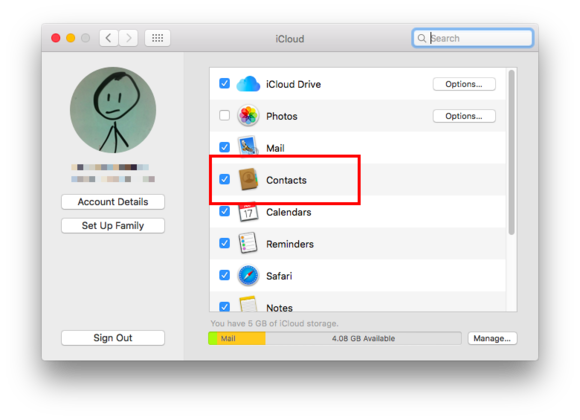 Make sure the Contacts option is enabled in order to sync your address book on your Mac. If you don’t have iCloud Contacts turned on, you can easily change that: On your Mac, open System Preferences, then click iCloud. Sign into your iCloud account using your Apple ID if you have one—if you don’t, head to icloud.com to get started—and once signed in, check the box for Contacts. On iOS, go to Settings > iCloud, then switch the Contacts toggle to the “on” position (it’ll turn green). Apple has a clear self-interest in steering you toward using iCloud, but Apple’s service isn’t the only option you have to storing, managing, and syncing your contacts across devices: Google, Mircosoft, and others offer tools that let you manage and store your address book. 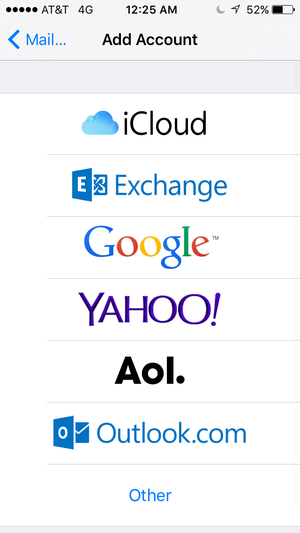 Sadly, none of these services work quite as seamlessly on iOS as iCloud does. While all three companies offer iOS apps for their respective email services, not one provides a full-fledged contact-management tool for iOS: You either have to use your email provider’s website or use Apple’s built-in Contacts and Phone apps to manage your data. iOS supports a number of popular email and contact-management services. To set up your iPhone’s Contacts and Phone apps to work with any of these services, go to the Settings app, then tap Mail, Contacts, Calendars. Tap Add Account located under the Accounts subheading, then tap the appropriate service (Google, Outlook, Yahoo, and so on). Next, follow the onscreen prompts to log into your account—the process varies slightly depending on the service, but it’s pretty straightforward regardless. Setting up the Contacts app to work with your contacts service is similarly straightforward: Open System Preferences, then select Internet Accounts. Pick the service you want to use, then follow the onscreen instructions to set it up. In terms of third-party apps, the Mac offers a little more flexibility, so you aren’t stuck with Web interfaces or OS X’s bundled apps. Microsoft Outlook for OS X lets you manage your contacts in addition to calendars and email, and like Outlook for iOS, it works with a wide variety of services. It also isn’t the only third-party option available for OS X. If you’d like to try something new, BusyContacts ($50, Mac App Store) is one option worth looking in to. It is a $50 application, however, so it may be a little steep for some users, but it might be worth a look if you need something more powerful. Using multiple services to manage contacts on iOS is a bit cumbersome, so for the sake of simplicity, you’ll probably want to pick one service and run with it. If you already have multiple contact-sync services set up on your Mac or iOS devices–say, you use Gmail and iCloud—you can turn off the contacts feature on your devices. By doing so, however, you may have to delete some contact information from your device, so it’s probably best to leave everything turned on. Wanna use a different service to store your contacts? You can do that with a few taps. 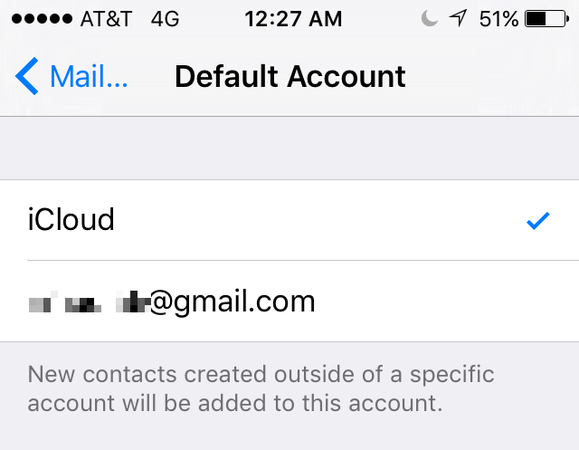 In such a case, your best option is to set a different default account for contacts storage—useful if you want to use iCloud for things like Photos and Notes but want to switch to Gmail for email, contacts, and calendars. To make the change, go to Settings > Mail, Contacts, Calendar. Scroll down to the Contacts section, then tap Default Account. From there, pick the account you want to save new contacts to. This isn’t an ideal setup—in a perfect world, you would be able to easily specify where to save a contact card as you create or edit it—but you can change your default contacts account at any time. Evernote is a useful tool for note-taking, and like the services mentioned above, it lets you access your data from all your devices, either via dedicated apps or the Evernote website. It wasn’t really designed as a contacts manager, but it’s powerful enough that you can use it to store your contacts if you really want. Open your Evenote app (or head on over to Evernote’s website) and create a notebook to store your contacts. Next, create a new note for each contact: You’ll have to format each one manually, but notes are fully searchable so you can easily find the info you’re looking for. If you use a cloud storage service like Dropbox or OneDrive, you can manually back up your contacts, but it requires a little improvisation. Cobbling together a contacts list and uploading it to Dropbox is one quick-and-dirty way to back up your contacts. Making a list: Manually cobbling together a list of contacts isn’t exactly an ideal solution, but it can work in a pinch. If you use a cloud storage service, you can toss your contacts into a text document that you can update as needed. Updating can be tedious, however, so this isn’t something you’ll want to do unless you have to. Alternatively, if you use OS X’s Contacts app, you can create a PDF list of your contacts: Open the Contacts app on your Mac, then select everyone in your contacts list by going to Edit > Select All. Go to File > Export as PDF...: Give your file a name and choose where you want to keep it, then press Save. You’ll get a full readout of your contacts that you can take with you or print out. Exporting an archive on your Mac: Another option is to export your address book from your Mac’s Contacts app and save it to your cloud storage service of choice. Open the Contacts app on your Mac: Go to the File menu, mouse over Export, then select Contacts Archive... from the submenu that appears. Give it a name and choose where you want to save your archive, then click Save. If you ever need to recover your contacts, open the Contacts app, select File > Import, then choose your contacts archive, and you’ll be back in business.